Affordable Outerwear: LET ME TELL YOU ABOUT MY LOVE FOR CHICWISH! Oh how I loove Chicwish. I absolutely love it because they have the most beautiful clothes in all different styles at really good prices. I feel like their clothes have so much detail and structure, that they look so much more expensive than they actually are. Every time I order something from there I am more than pleased and honestly blown away by the quality! The three looks I’m talking about today on the blog are all from Chicwish. Aren’t these tulle skirts are beautiful?! No women will think the tulle skirts aren’t pretty. If there were ever a clothing item to represent me, it would be the tulle skirt. As a Pretty, Pretty Princess at heart, tulle skirts bring all of my flouncy, romantic, and saccharine sensibilities to life. My obsession with tulle skirts is not new, nor is the trend itself. But it’s exploded over the past year or so, and you can now secure a tulle skirt in any color, any length, and at any size. As soon as I saw this ruffle tulle skirt on chicwish site I knew I would love it in person. And I wasn’t disappointed! I love the subtle colors in it and the full skirt just makes it so fun to wear. And what I love most is that it’s a really lightweight fabric, so it doesn’t feel bulky at all when you wear it. Sometimes I feel like maxi skirts can be unflattering when there’s too much material. This one is super flattering! And I was so happy that the skirt totally works with my tiny frame! Anyway, I just wanted to share these looks with all of you guys today since they’re from one of my favorite sites and really perfect for Spring time. Thank you so much for stopping by. Have a fabulous weekend! All of these looks are so so gorgeous!! I love the beautiful skirts and the layering with coats. Absolutely stunning! What a fantastic photos! Love this outfits, this skirts are fabulous. I totally love those skirts on you! Great styling as always! It looks like they have so many lovely pieces! Love how you’ve styled this coat! Absolutely a fan of Chicwish! Gotten so many skirts from them lol. You always have the cutest and colors on your outfit dear. I absolutely love all these, especially the skirt! I’m swooning over that blush tulle skirt! I’ve been familiar with Chicwish for quite some time now and feel like I need to pull the trigger on finally placing an order 🙂 Thank you for sharing! 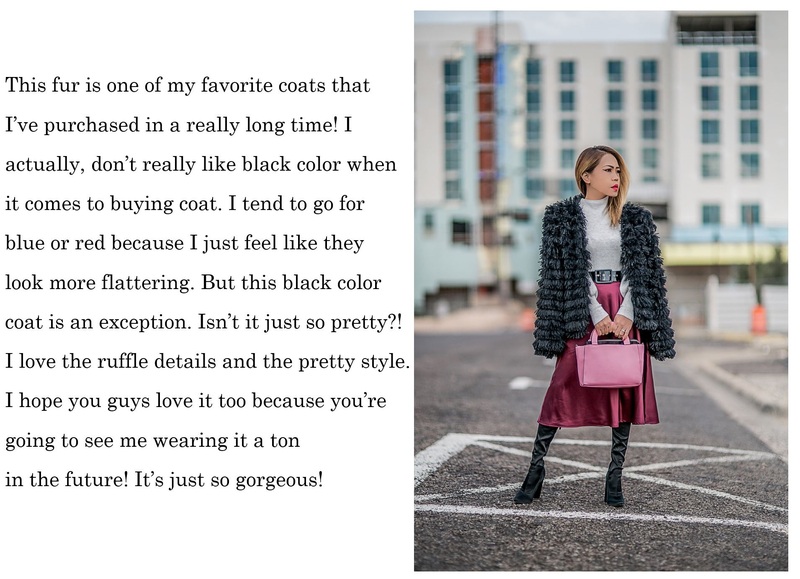 Looks like I need to look into Chicwish – love their statement coat and Princess-like tulle skirts. I can certainly understand why you like this website so much. Everything that you are wearing is so chic and fun. You do have a really good eye and choose the most beautiful things. Thank you for sharing – I love these wonderful outfits today. I wish you a very happy holiday season! All this looks are so so gorgeous! !